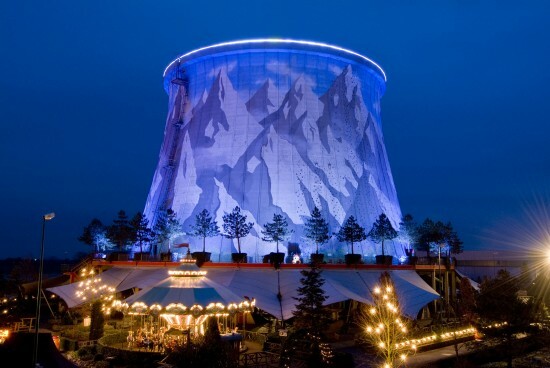 Wunderland Kalkar a Unique Amusement Park, What's unique about this Amusement Park was this Kalkar Wonderland was build on the abandoned nuclear reactor in Kalkar Germany. 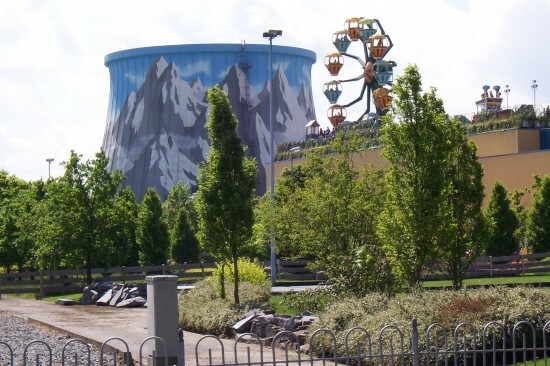 It was a Dutch Entrepreneur Hennie Van der Most who turn that abandoned nuclear plant reactor into this unique amusement park in 1995. Today this Kalkar Wonderland was visited by over 600.000 people every year. that's really a great decision of Hennie Van der Most. So how about the rides on this Wonderland Kalkar? Wunderland Kalkar has around 40 rides, for children and adults alike, and a 400-bed hotel. 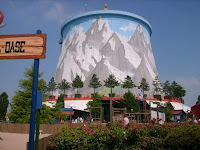 Among the most interesting features of the park are the swing ride set up inside the cooling facility, and the climbing wall on its outer walls. 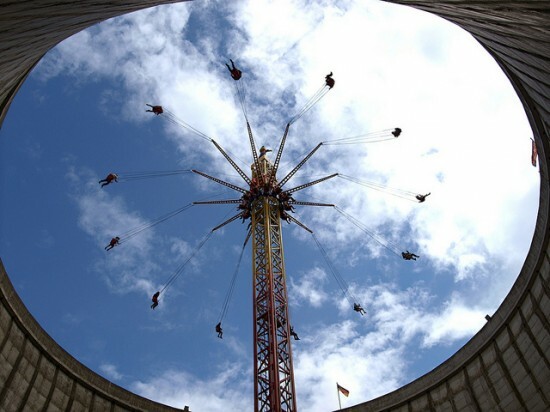 Also, chairoplanes, quad bikes, go-karts and a whole bunch of other fun gadgets make trips to Wunderland Kalkar a blast for the whole family. See also this Trans Studio Amusement Park, and this cool chocolate theme park. 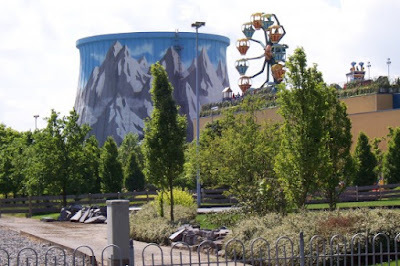 Here's a little history about this Kalkar Amusement park, Construction of the Kalkar nuclear plant began in 1972, but was constantly delayed due to technical difficulties and protests from those concerned about the safety of nuclear power. When it was completed, over 10 year later, authorities decided to pull the plug on the project, and the $4 billion complex was dismantled in less than a decade. 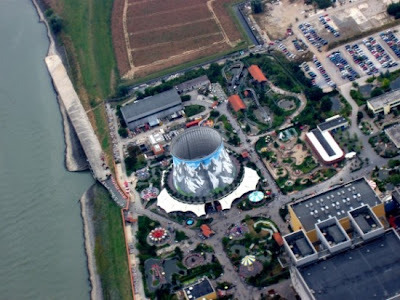 The fast breeder reactor remained in place, and in 1995 Dutch entrepreneur Hennie van der Most bought what was left of the Kalkar plant for a mere €2.5 million and managed to turn it into a profitable amusement park visited by over 600,000 people, every year.